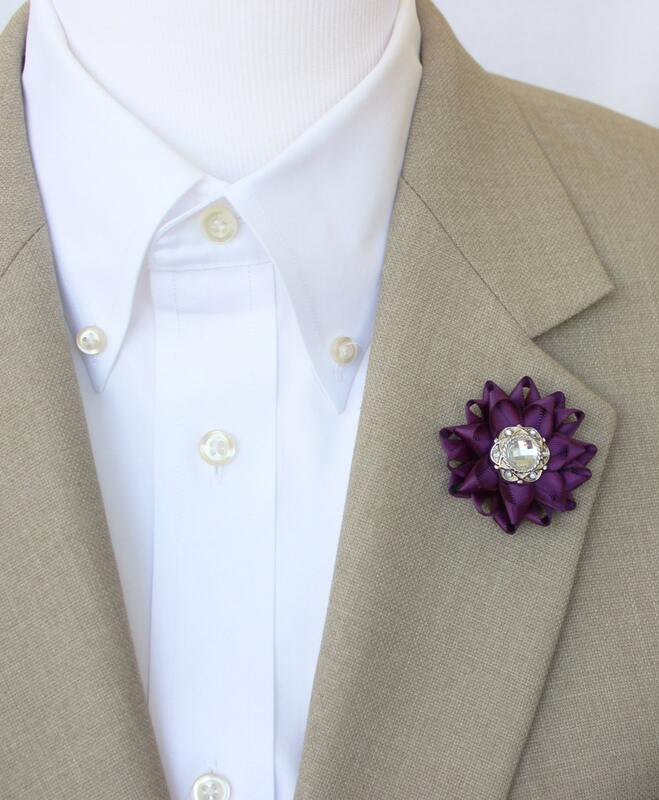 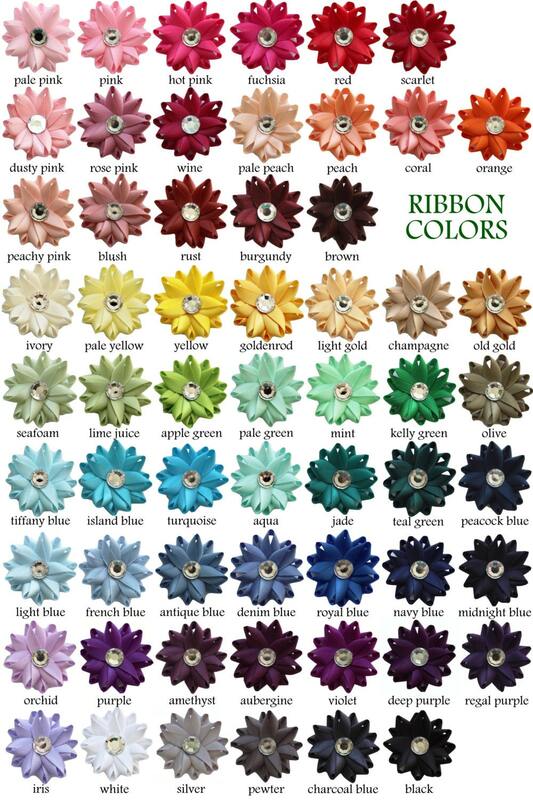 Shown in Deep Purple, you may choose your color for this custom lapel flower for men! 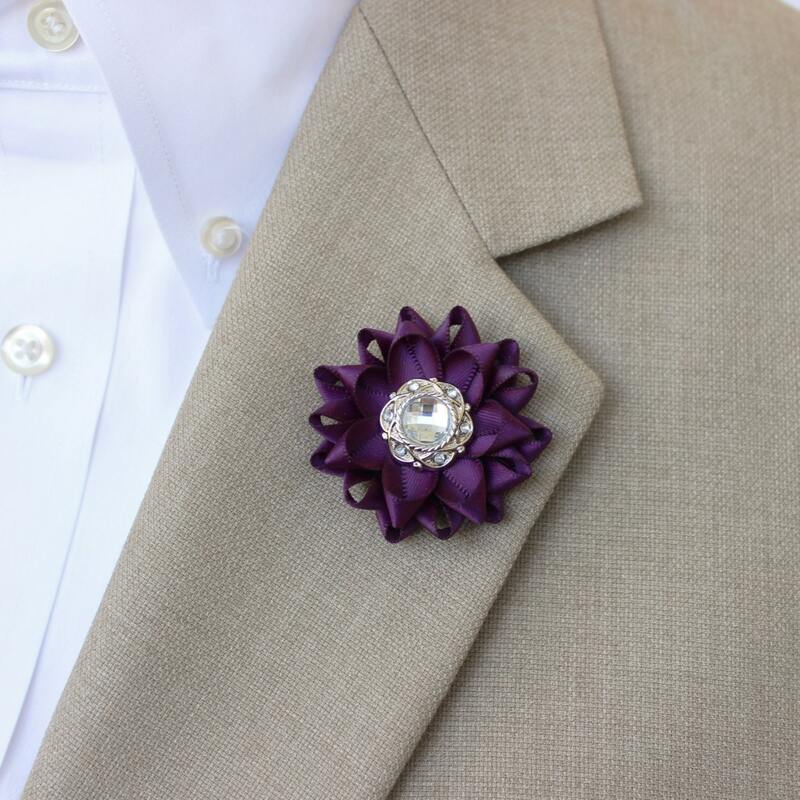 Each flower is hand-sewn with a fancy crystal center. 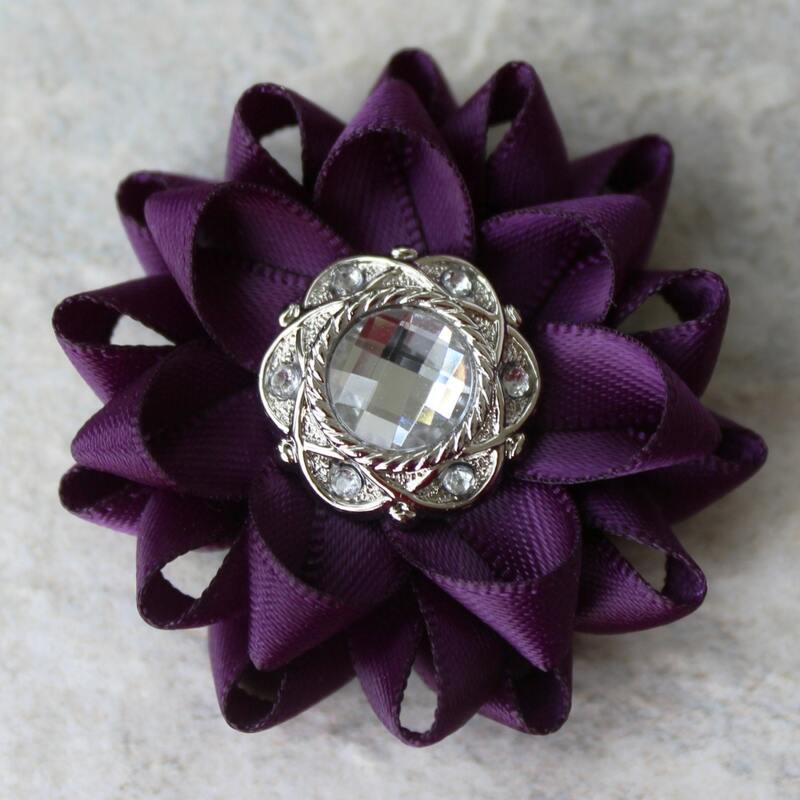 The width is 1 5/8" with an easy to use clutch pin backing. 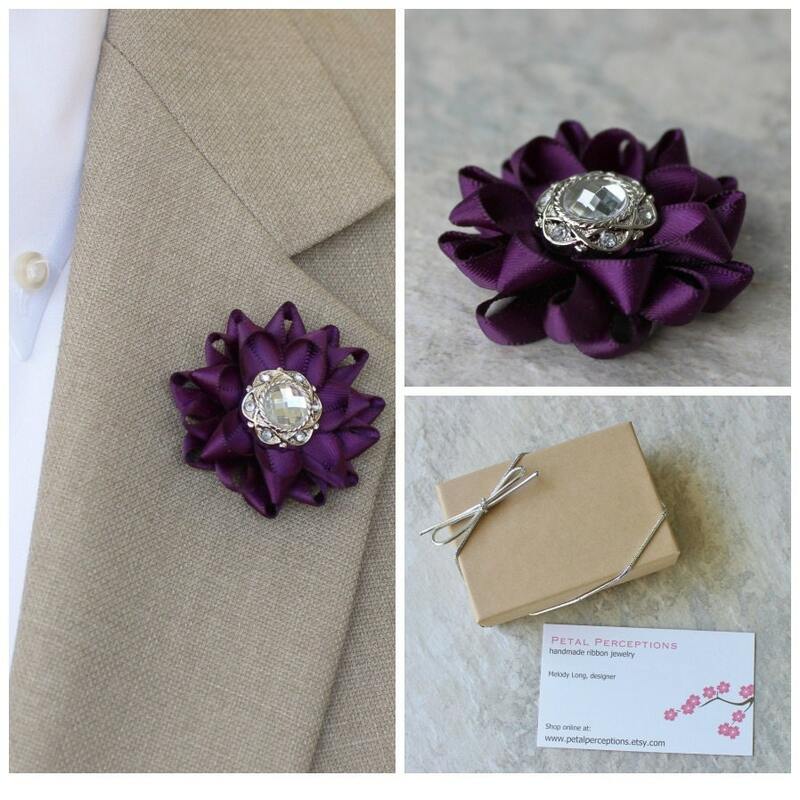 Each pin will arrive packaged in a white gift box.